Laurence Lee received his M.S./B.S. in Agri. Engineering in China, his Ph.D. in food science and technology from Laval University (Quebec, Canada). He earned an MBA degree from University of St. Thomas (Minneapolis, MN). He has extensive experience in industrial research and development of food processing/packaging, bioconversion and separation technologies. His latest focus has been on innovation on fluidized bed technologies for particle processing and applications. He is a well known fluid bed expert for food ingredients and beverage agglomerations, nationally and internationally. He held numerous positions for leading industry research and development: Principal Scientist, Dir. R&D, VP Technologies, CTO, COO and Executive Consultant. He contributed to numerous new product development and commercialization efforts. His current venture is LZL Engineering. Anjan Contractor is the CEO and co-founder of BeeHex. He developed multiple prototypes of 3D printers throughout the late 2000s to print edible food, plastics, and composites. Anjan is widely known for winning a NASA grant for building a 3D printer suitable for deep space missions. 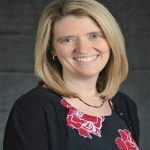 Dr. Catherine Woteki recently rejoined the faculty at Iowa State University as Professor in the Department of Food Science and Human Nutrition. From 2010-2016, she served as Chief Scientist and Under Secretary for USDA’s Research, Education, and Economics mission area. She developed the Office of the Chief Scientist, established the USDA Science Council, and instituted the Department’s first scientific integrity and open data policies. She led scientific delegations to China and the first Meeting of Agricultural Chief Scientists held under the auspices of the G-20. She is an advocate for building the platforms to enhance domestic and international food and agricultural research. 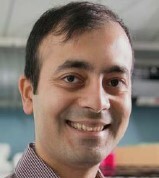 Rohit Karnik is Associate Professor of Mechanical Engineering at the Massachusetts Institute of Technology. He leads the Microfluidics and Nanofluidics Research Group. His research focuses on the physics of micro- and nanofluidic flows and design of micro- and nanofluidic devices for applications in healthcare, energy systems, and bioanalysis. He obtained his B.Tech. degree from the Indian Institute of Technology at Bombay in 2002, and his Ph.D. from the University of California at Berkeley in 2006. He joined the Department of Mechanical Engineering at MIT in 2007. He is a recipient of the Institute Silver Medal (IIT Bombay, 2002), NSF Career Award (2010), Keenan Award for Innovation in Undergraduate Education (2011), DOE Early Career Award (2012), and IIT Bombay Young Alumni Achiever Award (2014). Dr. Yrjö H. Roos (MSc and PhD, University of Helsinki), is Professor of Food Technology at University College, Cork, Ireland. His research covers food processing technologies and materials science. He is President and elected member of the Central Committee of International Symposium of Water in Foods and member and Chair of the European Academy of Food Engineering. 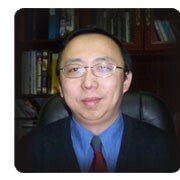 He is co-editor of Food Engineering Reviews (Springer). 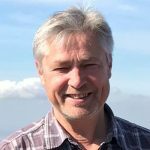 Professor Roos is author of 7 books and >180 peer reviewed, original research papers, 38 book chapters, >40 proceedings, 1 patent and >300 other articles, abstracts and presentations with >13,000 citations and h-index of 56. Professor Roos was awarded the International Association of Engineering and Food Lifetime Achievement Award in 2015, Institute of Food Technologists Fellow in 2015, the International Academy of Food Science and Technology Fellow in 2016, Swiss Thermal Analytical Society Award in 2017, and International Food Engineering Award of American Society of Agricultural and Biological Engineers in 2017. Gail Bornhorst is an Associate Professor in the Biological & Agricultural Engineering and Food Science & Technology Departments at the University of California, Davis. Her research program focuses on developing a quantitative understanding of food breakdown processes during digestion. Her group is interested in understanding how food and processing-related factors impact food digestion. To achieve these goals, they utilize techniques such as non-invasive imaging, dynamic gastric models, such as the Human Gastric Simulator (HGS), and physical property analyses. Francesco Marra (born in Cosenza – Italy, in 1974), is a professor of transport phenomena at the University of Salerno (Italy). Graduated in Chemical Engineering, in 1999, at University of Calabria (Italy), he completed the Ph.D. in Chemical Engineering at University of Salerno (Italy) in 2003. Visiting scientist at University College Dublin (Ireland) in 2004; research fellow University of California (Davis CA, USA) in 2008 and 2010. At present he is engaged in research at the Department of Industrial Engineering, in the section of Chemical and Food Engineering. He serves as head of the International Committee of the School of Chemical and Food Engineering. He is also member of the committee of PhD programme of Chemical Engineering. He is an expert on transport phenomena modeling in multi-physics context, on food processing assisted by electromagnetic fields and on engineering of innovative prototypes for food processing. Recently he is also involved in developing in-vitro systems for the understanding of human digestion. 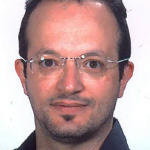 Already a professional member of IFT, ISFE and of EHEDG, he recently joined SoFE. He is active in the framework of the activities run by the international association ISEKI Food. Romel Somavat is a Senior Engineering Manager with Unilever. He supports technical engineering functions for Klondike, Popsicle, Talenti, Good Humor and Ben & Jerry ice cream brands for the largest ice cream manufacturer in the world. Totaling over 13 years of professional experience, Romel previously served as an Engineering Technology Manager with Abbott Nutrition in Columbus Ohio, supporting pediatric and adult nutritional brands including Similac, Pediasure, Pedialyte, Ensure, Glucerna, and EAS Myoplex. 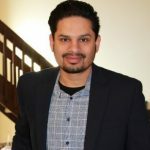 Romel has also contributed in the roles of Process Research Center Manager, Senior Engineer, and Product Development Scientist with Abbott Nutrition, and as a Food Engineering Graduate Research Associate at the Ohio State University. He also serves as the founding research manager of an innovation-based food technology start-up, Roh Labs. Romel has a PhD in Food Engineering from the Ohio State University where he developed light weight ohmic food packages for NASA’s future long duration space missions. He has authored more than half a dozen peer-reviewed articles and a book chapter and has five patent applications. 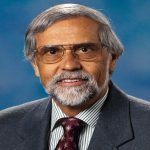 Dr. R. Paul Singh is a Distinguished Professor Emeritus of Food Engineering, University of California at Davis. He received his degrees in the area of agricultural engineering from Punjab Agricultural University (B.S. 1970), University of Wisconsin (M.S. 1972), and Michigan State University (Ph.D. 1974). Dr. Singh’s research involves computational modeling of food processes to improve industrial food manufacturing, energy and water use in the food industry, and modeling of food digestion for improved bioaccessibility of nutrients in the human body. He is a member of the US National Academy of Engineering and 2015 World Agriculture Prize Laureate. Currently, he serves as an Editor-in-Chief of the Journal of Food Engineering.